I have been to many conferences, seminars and presentations that were valuable for me. A common intention of conferences is to allow you to learn about the presenters and their work. 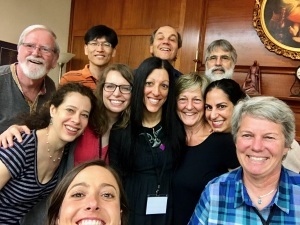 Sometimes, a conference centers on a theme where over the course of the gathering you become knowledgeable about how to apply the theme to your work. The difference with the North American Intensive is that this gathering is solely focused on you and what best enables your personal development. No matter your background, experience, or the nature of what you’ve come to examine, you will find yourself in a non-judgmental space that’s the perfect setting for personal transformation. At the Intensive, you’ll be experiencing 5 days of individualized work and growth. It’s my experience that having this amount of time to focus on myself provides an opening for major shifts. It puts space between me and my day-to-day worries, allowing me to further dedicate myself to my own growth, connecting with others and deepening my knowledge and understanding of Family Constellations. 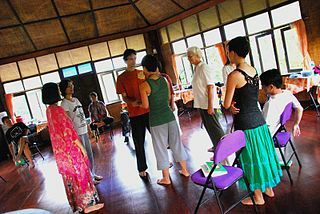 Year after year, the attendees of the Intensive experience the most beautiful and unexpected movements within their heart and soul. Personal challenges are given the space to move, pain can become joy, depression can become freedom and each person is able to leave with a profound sense of well-being from having grown on a personal level while also supporting the growth of others from the group. I look forward to seeing you all and being part of this beautiful community that has supported transformation and healing for so many for more than 10 years.